Food, drink, exercise… We’re full of good intentions when it comes to our health and wellbeing, but word on the street is that if you apply the same principles to your skin, you might end up with a clearer complexion. No joke. If you’ve struggled with spots and tried every product/fad/dermatologist in your budget, maybe what you really need to start doing is thinking your skin into a better condition. It’s a concept I recently latched onto in Los Angeles. “There’s much more access to healers, shamans and wellness practitioners in places like L.A., as there’s a really big community there, and as a result, it’s infiltrated into products and shops to meet the demand,” says Giselle La Pompe-Moore, intuitive beauty guide and founder of Project Ajna (more on that later). Things are definitely shifting here, though. Last month, I received a box from Rituals containing a Wishing Box. The brand I turn to for its candles and cult foaming shower gel is upping its game when it comes to the actual rituals it refers to in its name. The process goes like this: You tear a sheet of paper from the wishing book, write down your wish or intention, fold it, light it and drop it into the wishing dish. As well as releasing pomegranate and watermelon oils to soothe and calm, the magic comes from that good intention and voilà—your wishes come true. That’s the idea, anyway. Granted, it might sound a bit “Genie in a Bottle,” but La Pompe-Moore is so convinced of the connection between your state of mind and your skin that she’s built a business off the back of it. Using a combination of rituals, skin meditation, energy healing and reiki, her aim is to repair the relationship you have with your skin to prompt it to start healing. Even GPs are on board, and psycho dermatologists are becoming a common referral stage for doctors who are dealing with patients that have skin upset. “Recent research shows that at least 30% of patients with skin problems have an underlying psychological issue,” says Ellie Cannon, GP and author of Is Your Job Making You Ill? How to Survive and Thrive when it Happens to You. “Cases of stress are generally rising due to manic 21st-century lifestyles and that is bound to affect people’s skin,” says Cannon. With La Pompe-Moore, it all starts with a skin session to work out the space you’re in mentally. The goal is to end up loving the skin you’re in and to get to that point she’ll work with you on rituals (be it crystals or creating a sacred space to perform your skincare routine) and skin meditation (that you repeat whilst administering some facial massage). Alongside energy healing and reiki to benefit your physical, mental, emotional and spiritual levels, you’ll then leave with practices, audio meditations and homework to help you self-heal. Things like journaling your skin’s behaviour. “If you find you get a spot before a stressful event, instead of going straight into fix-it mode and responding with a spot cream, you can try and calm your nervous system by meditating or listening to a relaxing playlist,” recommends La Pompe-Moore. The logic behind this is that during meditation the brain wave patterns are slower and so will quiet and dumb down the stress hormones that cause those flare-ups. Becky Symes, skin coach and founder of Holistica products, is in agreement. Alongside working with Giselle La Pompe-Moore on Mirrorscope sessions (group workshops that address all of the above), she’s also created her own skincare range based on the mind over matter ethos. “I launched the brand after my struggles with hormonal acne had left me with poor skin health and a dysfunctional relationship with myself. Over the years my skin journey became less about dealing with breakouts and more about my mental health and how I treated myself inside and outside of the mirror,” says Symes. Her range is designed around three “skintentions” that act as a guiding point: Glow, Balance and Nourish (you take a quiz on the website to find out which one you are). The concept is that by setting an intention, we naturally begin to use that as a guiding point. From there, that good intention will not only help us be more positive about those pimples but will also impact things like choosing better foods to ground and nourish us, or committing to getting more sleep or taking time out for some TLC—all things that if left alone could exacerbate your skin issues. SO INGREDIENTS MEAN DIDDLY SQUAT? It might be tempting to revert back to the super-saver aisle for your skincare now that you’ve got a mantra in place, but the holistic healing is seeping into products too. In Holistica, Becky uses crystals to support your relevant skintention. “One of the reasons is because they have the ability to upgrade the vibrational frequency of the products,” she explains. This means that they can apparently boost cellular turnover for a smoother complexion. And help skin become more receptive to other ingredients that sit alongside them. Even the crystals have been carefully thought out to ensure the products fuse both the dermal and emotional requirements. For example, the Glow range, designed for when your skin is a bit lacklustre, not only includes rose hip and pumpkin seed oil to nourish and boost radiance but Rose Quartz that symbolises self-acceptance and kindness. Other go-to’s are Smokey Quartz for grounding energy and protecting against negative self-talk and Jade for bringing calm to the skin and soul. Of course, the crystal-skincare trend has been gaining momentum for the past couple of years. 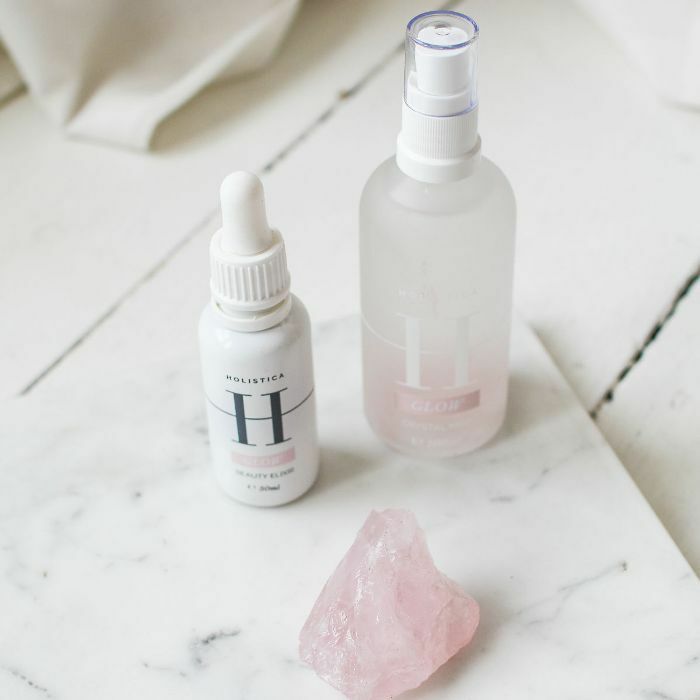 Dermatologists like Nichola Joss have long raved about rose quartz and reiki, whilst Lisa Franklin has included the gem alongside heavy science and lab-born ingredients in her new anti-pollution range. Look around her glossy white aesthetics Clinic Prive in Knightsbridge, London, and you’ll spy lumps of rose quartz sitting atop shelves in every room. “These precious stones are very healing, reawakening the heart chakra and opening it to love, trust and faith. They also have anti-aging properties which are why I use it in all of my products and signature facial,” explains Franklin. These good intention vibes don’t just come from crystals. 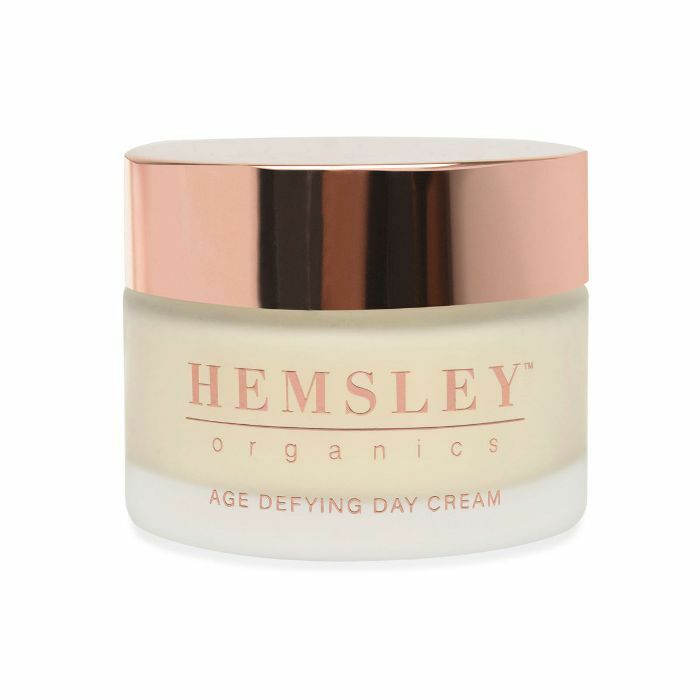 Hemsley Organics is a new range that promotes their wares as more than skin deep. Infusing reiki energy into their products, they believe the positive healing vibrations help to remove any negative energy that could have come into contact with the formula. Get rid of these blockages before the lid is sealed and when you apply them you’ll feel calm, rejuvenated and connected through the absorption of your skin. Annee de Mamiel’s range has been created using the principles of Chinese medicine and each organic oil, cream and balm is subject to prayer, meditation and music before consumers get their hands on it. Similarly, Denise Leicester, founder of Ila Apothecary and Soul Medicine music uses healing chants to bless the products. Providing a physical, mental and emotional sensory experience, visit the spa or their new London store in Notting Hill and before each treatment you take an online assessment during your consultation that assesses your mood and mental wellbeing. Channelling Ayurvedic traditions, homoeopathy, aromatherapy, crystal healing and naturopathy, as well as bespoke treatments, they conjure up tailored teas and positivity prescriptions to rebalance and restore you from inside out. 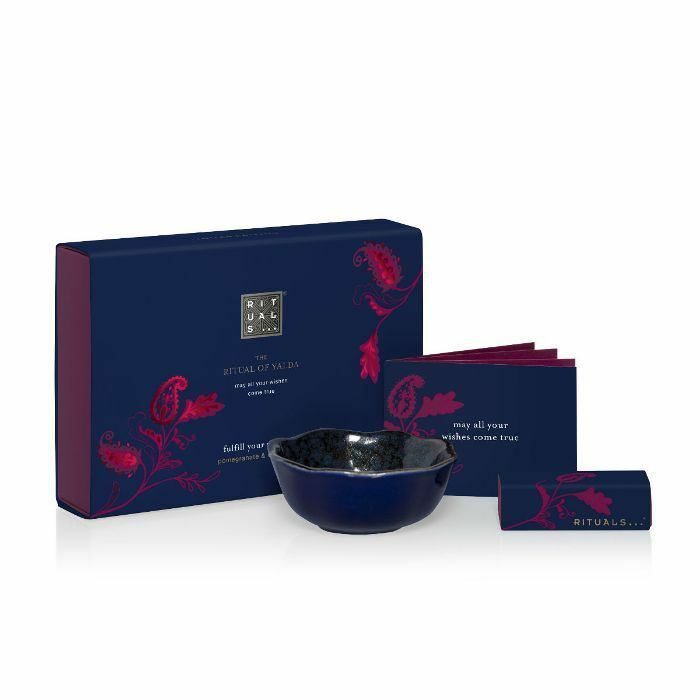 All I know is that I’ve tried umpteen treatments and products and I’ve never had a connection to a range quite like this one. From the Protective Aura Day Cream to the Quiet Start Body Scrub, whenever I use them I seem to end up carving out more self-massage time than anything else I try. It sounds bizarre but it’s like they have a hold over you. And I’m not one for airy-fairy. Next: What’s the deal with crystals, anyway?